I came across Mindful Minerals North Texas (MMNT, LLC) website www.mindfulmnt.com from referrals by a few of my readers. 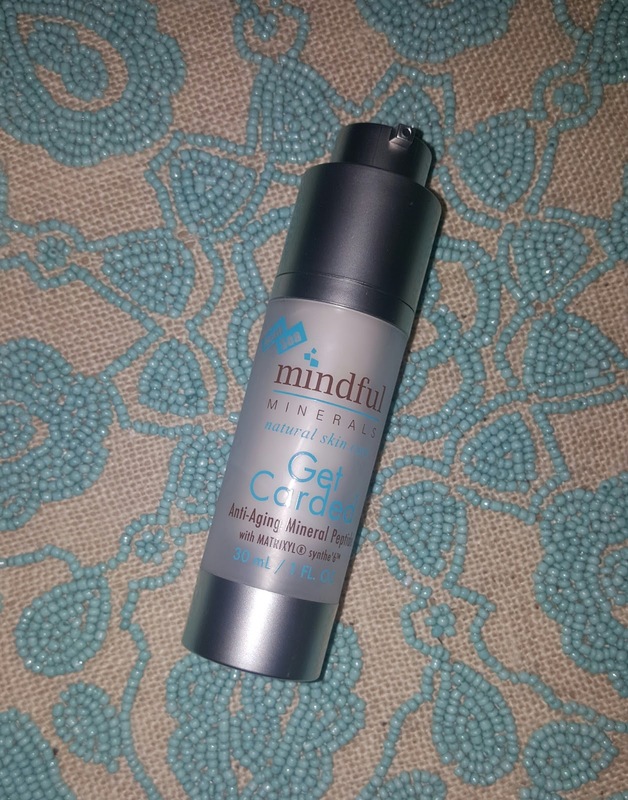 I decided Mindful Minerals looked like something I would love to try because I have difficult skin. I contacted Stephanie Talia (owner of MMNT, LLC). She is an authorized distributor of Mindful Minerals in the North Texas area. 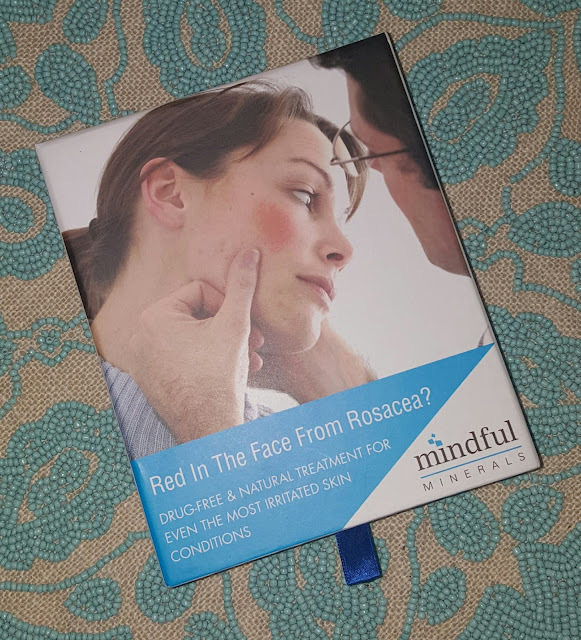 Stephanie asked about my skin issues/concerns and determined that the Rosacea skin care products would be the right fit for me to try. “Just Get Dirty” Dead Sea Mud Purifying Bar—This rich lathering soap made with Dead Sea Mud and pure Eucalyptus essential oil is great for cleansing and detoxifying the skin. This soap has a slight texture from the mud that helps exfoliate and remove dead skin cells while deep cleaning the skin. All natural vegetable oil soaps are made with 100% natural scents and infused with the minerals from the Dead Sea." A little bit of background on my skin, I have rosacea on my cheeks, occasional break outs, and overall dryness especially on my forehead which has a tendency to peel if I don't lather on the moisturizer. I did not find this soap to be overly drying or irritating in any way, I plan to keep using this as my go-to face cleanser! "Get Dirty Dead Sea Mud Mask is our mineral rich mud from the Dead Sea and Organic Aloe Vera this completely natural, organic material has over 35 minerals and trace elements to deep clean and detoxify the skin. The micro-molecules of this clay have powerful absorbing qualities literally “drinking” toxins, oils and impurities from your skin. The toning action stimulates circulation bringing fresh blood to damaged skin cells, revitalizing the complexion and tightening pores." 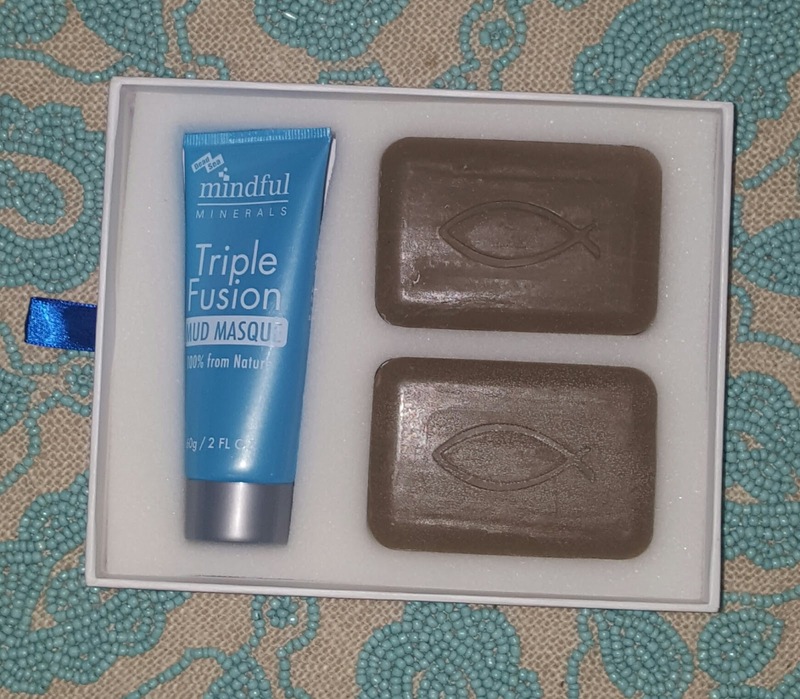 Just like the mud bars, I also love this Mud Masque! 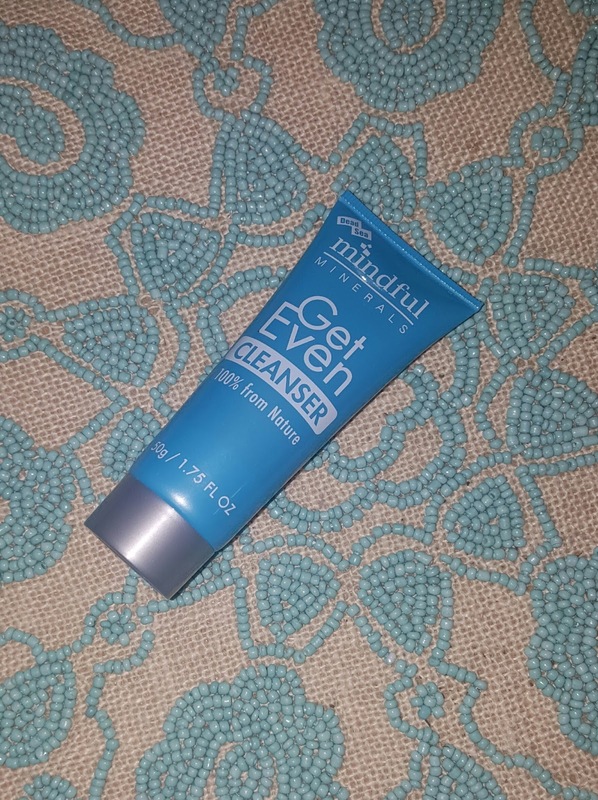 It makes my skin feel SO soft after I use it as well as leaving my skin tighter, and I have noticed it seems to really draw out any impurities under the skin. I also like the fact that it's not super difficult to wash off like some masques I have tried, and I find it much gentler on the skin. "All-in-one day cream is your 30 SPF Broad Spectrum UVA/UVB chemical-free barrier sun protection that releases wrinkles, and hydrates skin. . With skin perfecting minerals to help blur imperfections, this treatment minimizes pores, acts as a primer and concealer while it reduces hyper-pigmentation, inhibits acne, balances, mineralizes and nourishes the skin." This is the perfect product to use to start your morning off, and get a little bit of coverage as well as SPF, in my opinion it takes the place of a tinted moisturizer as well as a sunscreen. It is thicker than a traditional moisturizer, but not overly heavy. As far as moisture, I would say it's a light-medium moisturizer. I use this in mornings if my skin is decently moisturized from the night before, if my skin is flaky in the morning than I will instead use my Get Carded Peptide. I really do love the light coverage this provides, I never wear foundation because I don't like much coverage so this is perfect! It really cancels out any redness I may have that day, and I love that I don't have to worry about SPF since this has the SPF in it. "Get Carded Anti Aging Peptide features Dead Sea minerals and peptides to deliver results without harmful chemicals or injections. This three in one product replaces your moisturizer, eye cream and anti-aging serum with one powerful product that diminishes crow’s feet, forehead lines and builds collagen. Skip the Botox but don’t forget your I.D.!" This has been wonderful for my dry, flakey skin! It really plumps up and hydrates my skin. 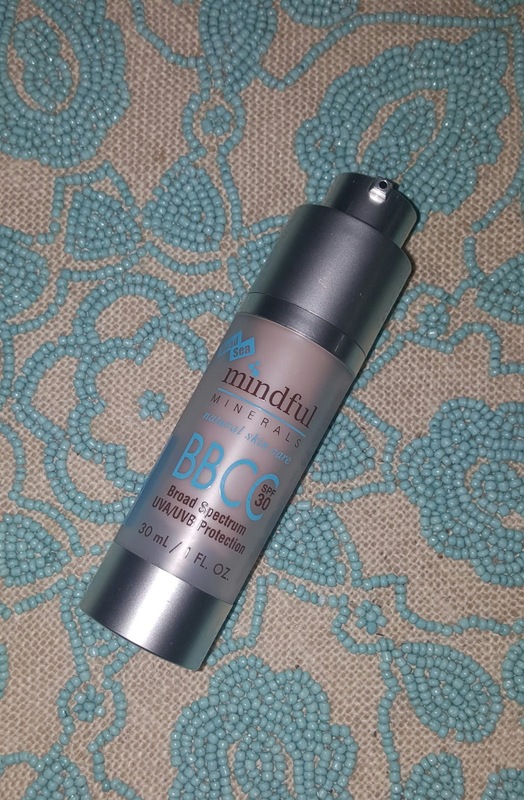 As the weather is getting cooler here my skin is drying out terribly, and I've found using this twice a day my skin is much more hydrated and less flakey! A micro-scrub with willow bark, lactic acid and sugar cane, “Get Even” stimulates cell turnover, decongests pores and helps to even out the complexion, while protecting the skin with natural humectants and fatty acids that sooth and heal. Rich with Dead Sea minerals, “Get Even” is naturally anti-microbial and anti-bacterial and may show benefit to sufferers of acne, while the cranberry fruit extract helps fight free-radical damage." The texture of this scrub is unique, it's similar to a gel consistency but with many small exfoliating particles. I use this scrub once a week since it does provide a deep exfoliation, it does a great job at removing dead skin and minimizing my flakiness. Overall I highly suggest giving Mindful Minerals products a try, ESPECIALLY those of you with specific skin concerns such as rosacea, acne, aging, or eczema! I have a special coupon code for my readers. Log onto mindfulminerals.com, create an account, use MMNT01 in promo code for 20% off your purchase.